Dr. Joshua Morgenstern is a first-year veterinary cardiology resident at Advanced Veterinary Care Center in Lawndale, CA, a practice with specialty services in cardiology, internal medicine, oncology, and surgery, as well as emergency care. He is involved in everything from installing pacemakers, performing balloon valvuloplasties, and many other interventional intravascular procedures. In addition to his work in the catheter lab, he manages dogs and cats in congestive heart failure, animals with congenital heart defects, and others with complex arrhythmias. Upon graduating in 2011, Dr. Morgenstern further enhanced his clinical skills and resume by doing a rotating internship in medicine and surgery at the prestigious Animal and Medical Center in New York and then completing a cardiology internship at BluePearl Veterinary Partners in Tampa, FL. 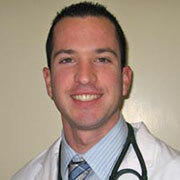 Dr. Morgenstern then matched with the cardiology residency at Advanced Veterinary Care Center. His primary case load at AVCC involves cats and dogs, but on occasion everything from birds and rabbits to horses. He has even performed an echocardiogram on a grizzly bear. Born and raised in New York, Dr. Morgenstern majored in animal science at The Ohio State University’s College of Food, Agricultural and Environmental Sciences and earned his Bachelor of Science in Agriculture in 2007. When weighing his veterinary medical school options, a family friend who was also a veterinarian raved about the caliber of SGU graduates with whom he crossed paths. 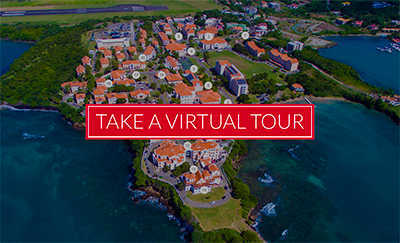 Dr. Morgenstern diligently researched the University and its programs, and in August 2007, he enrolled at SGU, studying basic sciences for three years in Grenada. Upon arriving, he immediately took advantage of unparalleled access to faculty members and student support from the award-winning Department of Educational Services. It also didn’t take long for him to grow fond of his new classmates. As a veterinarian, he draws great satisfaction from keeping families of a different kind together. “It’s wonderful when we are able to take a bad situation and make it right,” Dr. Morgenstern said.